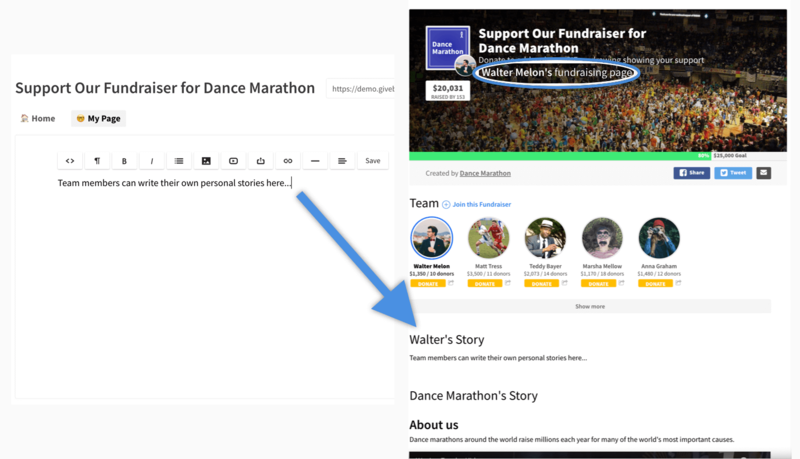 On Givebutter, each team member of a campaign can easily personalize their page with text, images, videos, and more via the dashboard. Member Stories will appear above the main campaign Story, as shown in the screenshot above. These pages are accessible via each member's custom trackable link. BETA: Team members can set personal goals and customize the content of their pages (title, logo, etc.). Contact us to learn more.